A charming pub, with a selection of real ales from Triple fff and other local breweries, plus ciders, lagers, wines & spirits. Artillery Arms in Milton has a beer garden. The pub serves food, it has an outside area. 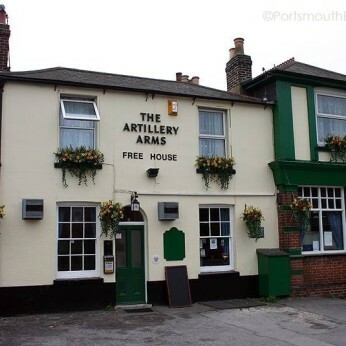 Artillery Arms serves real ale. The pub shows football on TV, it has terrestrial TV.